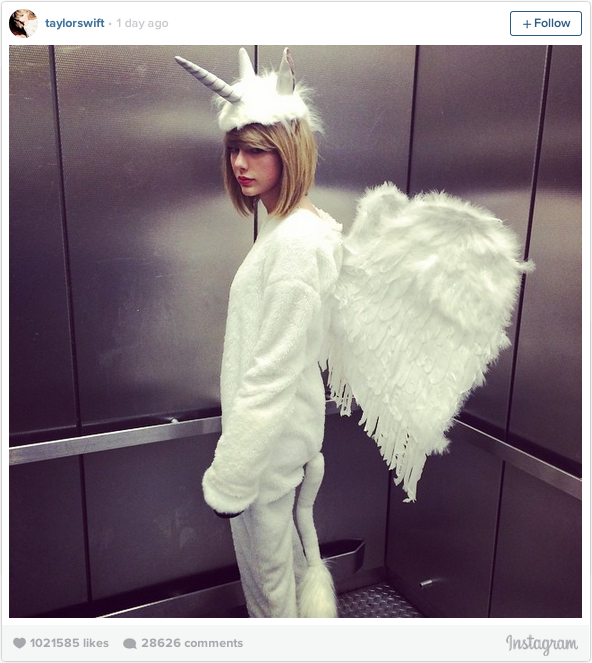 Swift dressed as a self-proclaimed “pegacorn” – a hybrid of a unicorn and Pegasus. Heidi Klum is known for going all-out with her Halloween costumes, and this year was no exception. 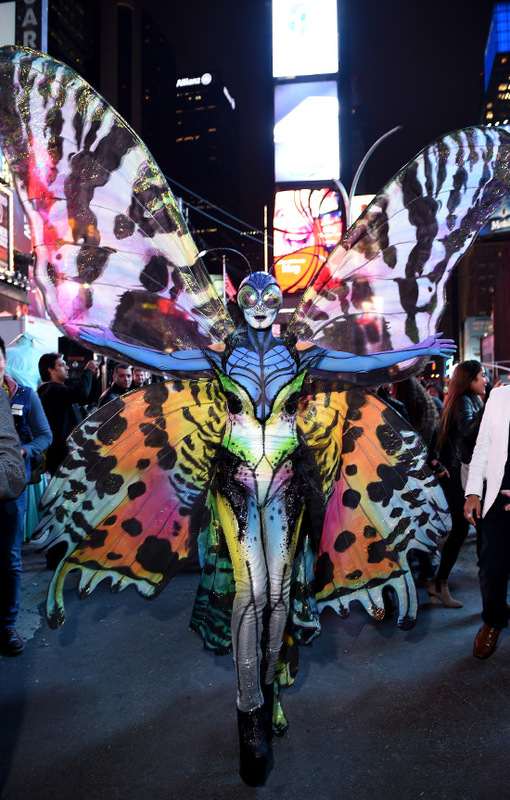 The supermodel transformed into a colorful and otherworldly butterfly for the evening at her 15th annual Halloween party. In other supermodel news, Cindy Crawford stepped out with her husband in matching Sonny and Cher costumes to attend a Halloween party in Beverly Hills. 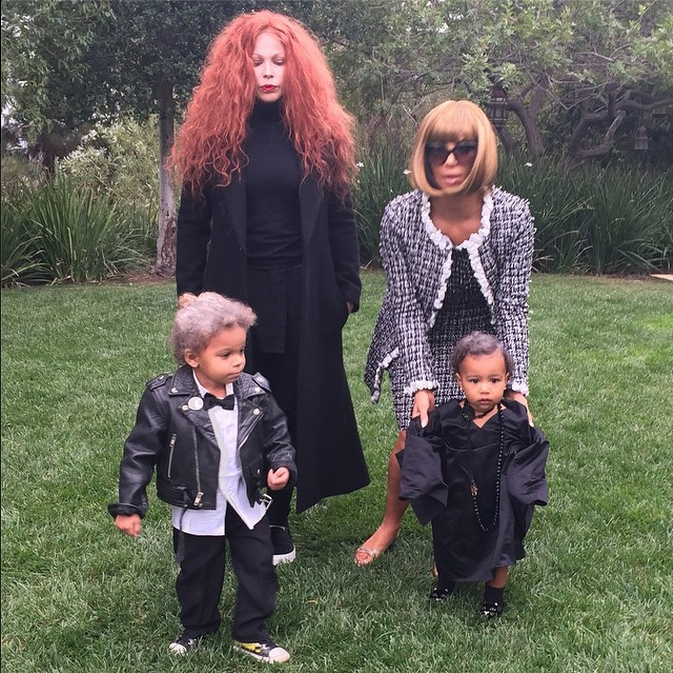 As Anna Wintour and Andre Leon Talley with Joyce Bonelli and her son as Grace Coddington and Karl Lagerfeld. 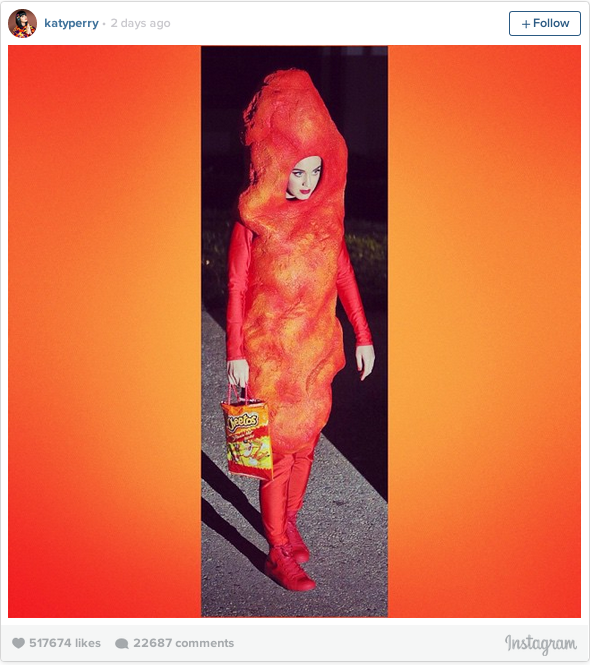 The singer became the embodiment of a Flamin’ Hot Cheeto, replete with red bodysuit, red high-top Converse and a Hot Cheetos purse. 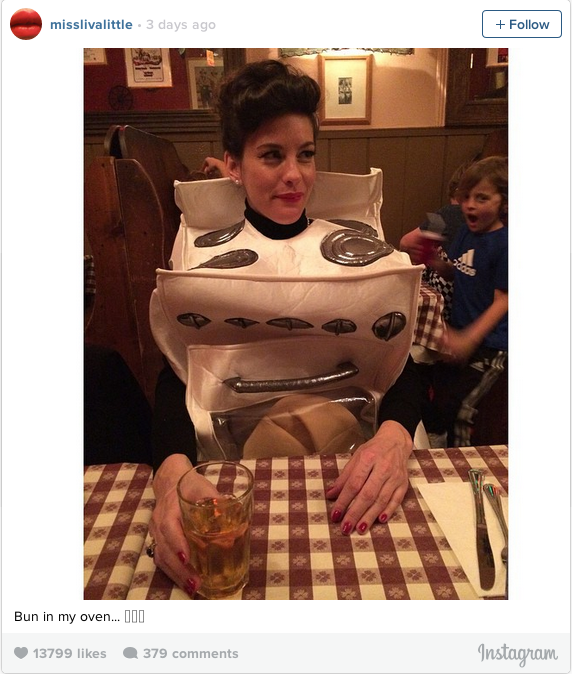 One of the most adorable and creative Halloween costumes was expectant mommy Liv Tyler’s “bun in my oven” costume. 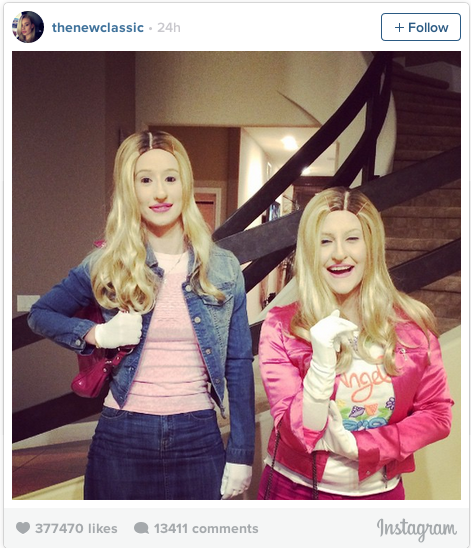 Iggy dressed up as Marlon Wayans from White Chicks after Snoop Dogg recently compared her to the character. “Bye haterzzzzz,” she captioned.